I am so much in love with the Class International woolen trench, I would wear this coat with all my outfits I think haha. A woolen coat is a must for a lady to have and I think a trench coat is too, which makes this coat a two-in-one musthave! 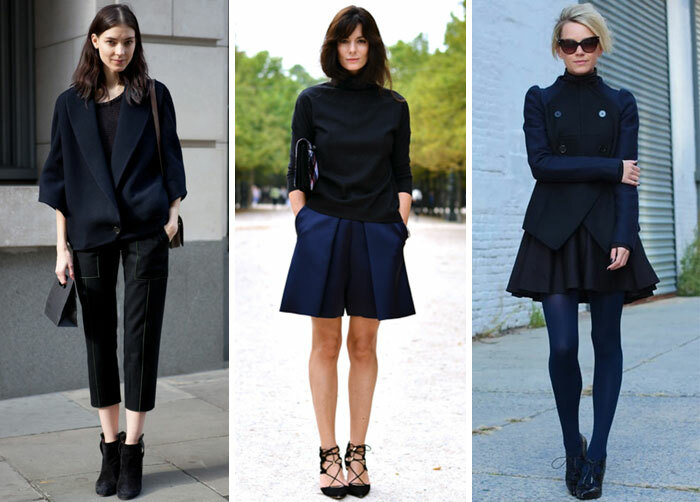 I would definitely wear the coat with the Selected Femme navy skirt, which looks like it’s a great quality and easy to match basic skirt. 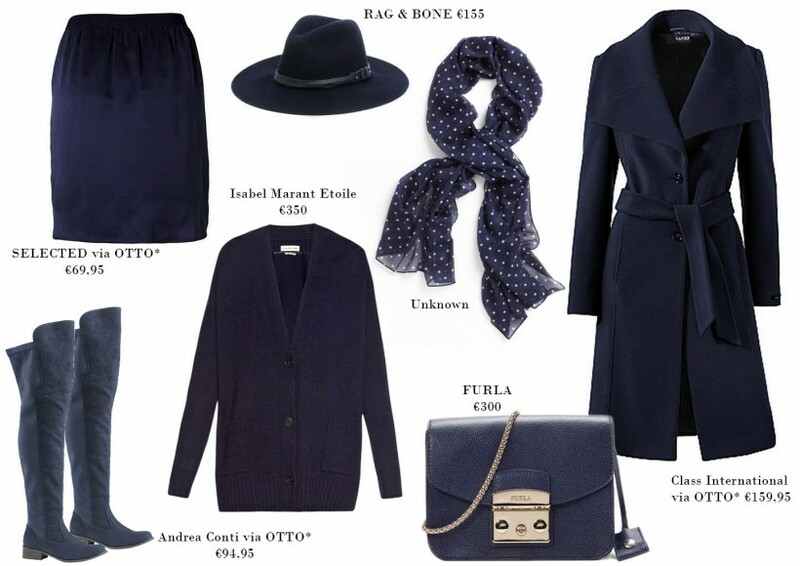 To spice up a look with navy details I would go for the RAG & BONE fedora and / or the FURLA Metropolitan bag. These items are classic beauties and will never go out of style. Another musthave for this winter is a long line cardigan with pockets, like this navy (or midnight) colored one from Isabel Marant Etoile! Which navy item do you like best? !